Every historical setting is bound to have a few ghost stories and Gettysburg is no exception. The rich history of Gettysburg has created an abundance of supernatural stories and spooky lore that intrigues and bewilders to this day. The Battle of Gettysburg fought between July 1st and July 3rd, 1863 is known to be a turning point in the American Civil War. The three days of brutal battle caused the largest number of casualties and generals killed in action during the Civil War. Since the battle, both visitors and residents of Gettysburg have claimed to see the spirits that still linger. Some of the most noted haunted spots in Gettysburg are popular tourist sites. 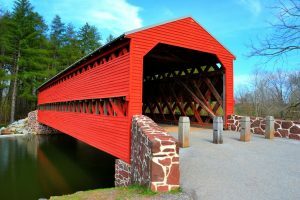 While the list seems endless considering all of the experiences our guests and locals have had, we’re providing this top list of haunted Gettysburg locations and must-see haunted sites in historic Gettysburg. Known as one of the deadliest fights of the Civil War, the Battle at Gettysburg was held at the battlefields just off of what is now known as Baltimore Pike. What is now the Gettysburg National Military Park is said to be haunted by fallen soldiers who are unable to accept their fate. The restless souls of those soldiers, on both sides of the fence, are said to be unaware that the battle has ended and that time has moved on. 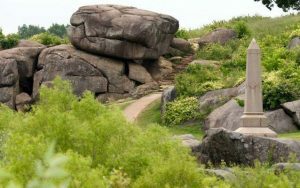 This natural rock formation on the grounds of the battlefield proved to be a strategic asset to the troops of the Civil War. The formation was named such after local residents believed that a large snake was in residence. Varying accounts of the size of the creature range from 8 to 15 feet, therefore earning the nickname “The Devil”. Visitors to this historical landmark have reported hearing sounds of drums and gunshots as well as sightings of a barefoot, shabbily dressed man who tries to give directions or the sensation of someone holding their hand. One of the most popular stories that come from this area is that when visitors try to take pictures, there is usually some sort of camera malfunction that prevents them from capturing the scenery. Our own hotel has been known to have a few paranormal guests as well as our regular clientele. Most guests talk about seeing Rachel, who is believed to be a Civil War era nurse. She is said to be looking for wounded soldiers that she can care for as well as opening drawers and removing the contents. Past guests have also reported seeing a wounded soldier and a lady dancing in the center of the ballroom. 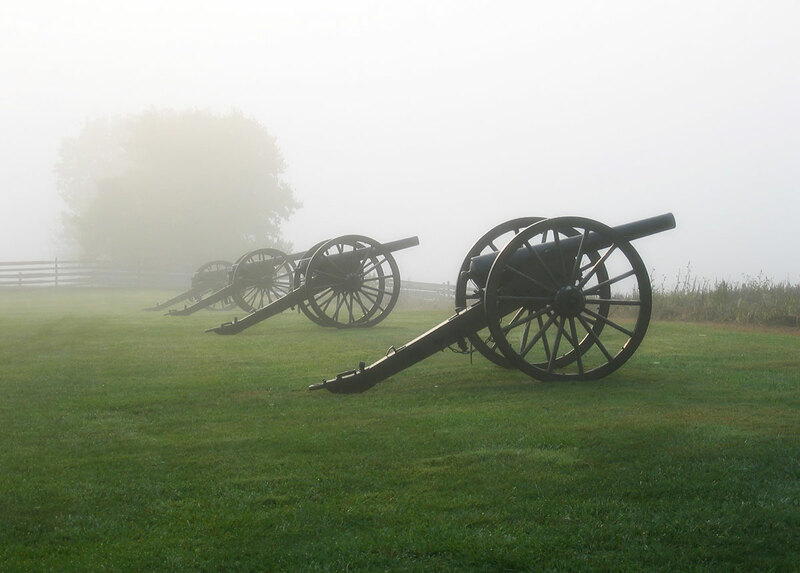 Enjoy a unique Gettysburg experience with our Ghostly Encounter Package which includes a Gettysburg Ghost Tour that winds it way through Gettysburg’s most haunted sites, dinner and breakfast for two at One Lincoln, and a signed copy of “Ghosts of Gettysburg”. Rumors around town have been shared that three Confederate soldiers deserted their unit during the Battle of Gettysburg. Upon capture, they were killed at the bridge. Because of their untimely demise, people have said they’ve spotted shadows and outlines of soldiers on the bridge, mists that arise from the water in the shape of men, and shadows, clouds, and dark spots in photographs taken there. Many historians and people of the time would tell you that the monumental Battle of Gettysburg took place all over the city and not just on the designated field. Due to a large number of casualties that the battle caused, any building was turned into a field hospital, and every person who was still standing was a nurse. At the Tillie Pierce House Inn, people have reported hearing footsteps walking above them, spirits sitting on the beds with them, and a soldier constantly walking up and down the stairs almost as if he’s patrolling the area. There are also many more areas of town that are said to have very interesting paranormal stories unrelated to the war. 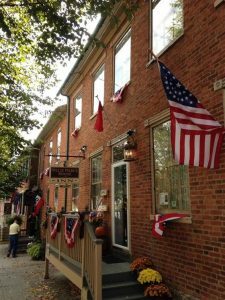 Our hotel makes it fun and easy to explore the haunted history of Gettysburg with our friends at Gettysburg Licensed Town Historians. Last year, we spoke with Jerry LaRussa, one of the guides, about some of the stories that he shares during the tours he gives around town. Be sure to book the tour on your next visit to have your own ghostly experience in the always interesting (and sometimes spooky!) haunted Gettysburg. What do you think? Could the town be as haunted as the stories say?